Last Week: Nailed It! Friday had some wind but the rain and fog and dense clouds made it less than ideal to ride. On Saturday, it was windy and rideable all afternoon in Manistee. Pretty much the only section of coastline that was windy enough. Sunday was light and easterly. Today: The southwest windthat has blowing all morning is forecast to come to an end this afternoon. 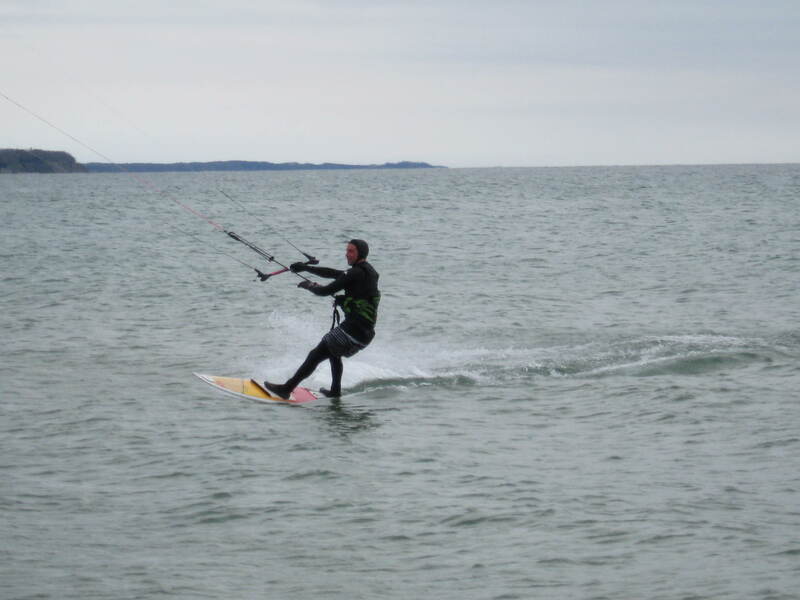 Saturday: There isn’t going to be much wind to kiteboard. Light and some flow out of the south and south east. Just enough probably for the kitefestival in Grand Haven. Sunday: Looking like decent south wind to ride from Muskegon and further north. Similar to what we had two weekends ago. The points will be the windiest spots with gusts in the mid 20’s. There is a chance of rain and storms for Sunday so that is something to keep an eye on. Water temperature is really climbing now. It’s hitting 50 degrees in Holland. There are some rumors of a new Lake Michigan webcam getting setup in a prime location with a really good view and very close to the water. Stay tuned!